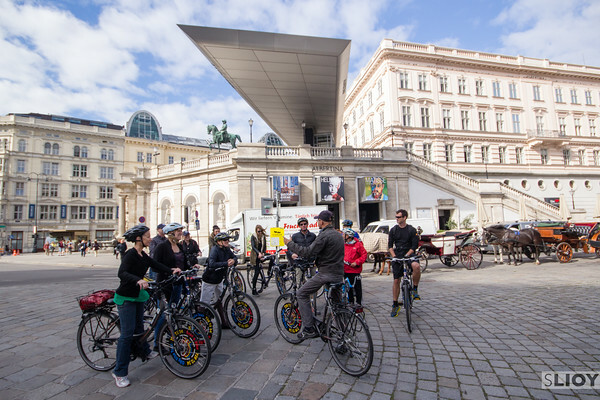 A group of Bikers at Vienna’s Albertina Museum. Aside from an ornate and compact Old Town that keeps most tourists to Vienna entranced for their entire visit, the city and its surroundings also have over 700 mi of bicycle paths that offer an excellent way to explore the rest of the area more efficiently than on foot and closer to ground level than by the bus and subway systems. 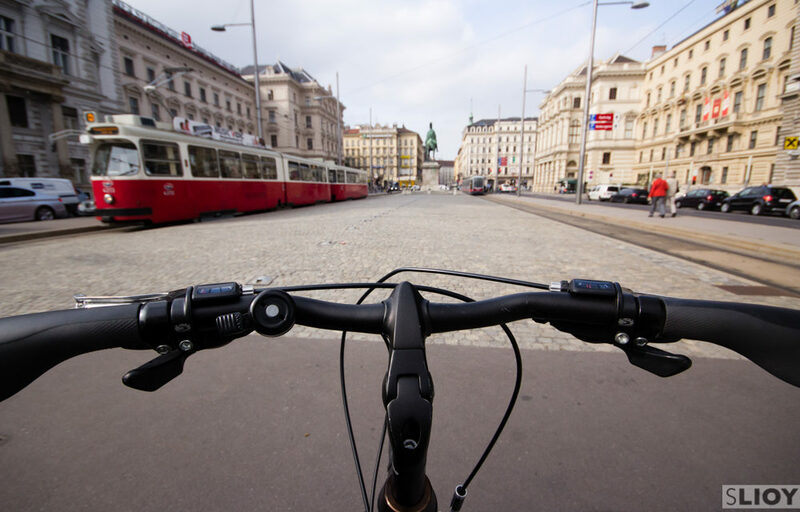 With greater speed and the ability to explore when and where you please, spending just a few days on Vienna’s bicycle routes will have you feeling local in no time. 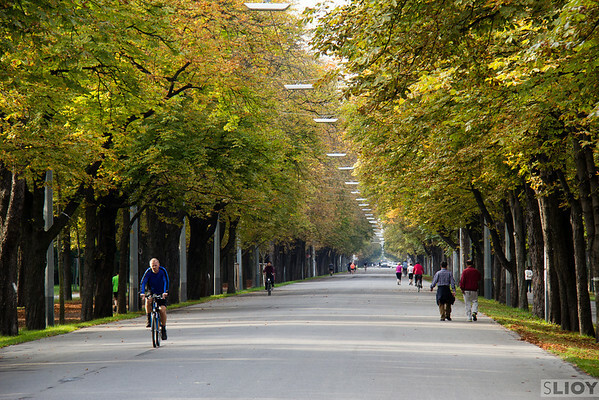 From the Center of Vienna, these bike paths lead to all the major tourist sites on the outskirts of Vienna like the Schonbrunn Palace and Praterstern Park. Though a number of companies run bike tours through the city, there is very little reason for independent travelers can’t rent a bike and set out solo. 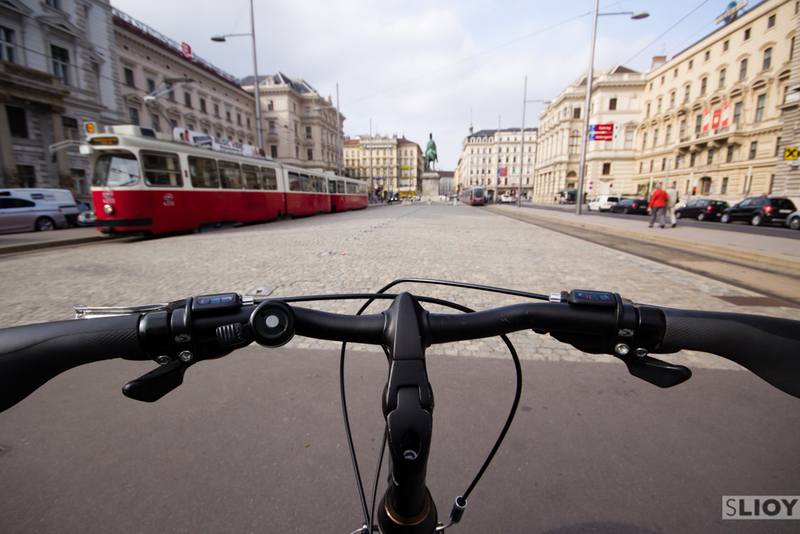 With a map of the city and a will to wander the bike paths of Vienna are easy to explore. To start with, a trip around Vienna’s Ringstrasse passes by some of the most spectacular architectural highlights of the city (as well as some of its coziest cafes, which deserve a post of their own). Once you’ve had enough of the sights and sounds of the city, or just had one too many apple strudels and café mélange, these bicycle paths also lead away from the center into more peaceful landscapes. A short trip from the city center could follow the Danube Canal, along its tree-covered banks and past glassed-in bars along the manmade waterfront promenade. Follow this far enough and you will eventually pass quite near the Prater, a large city park (and former Hapsburg hunting ground) most well known for the Ferris Wheel that towers above this part of town. A ride through here makes for an especially nice end to the day as the amusement park rides begin to light up once the sun goes down and occasional horse-drawn carriage trot past in the opposite direction as you pedal along the Prater’s canopied main avenue. The main avenue of Vienna’s Prater park. 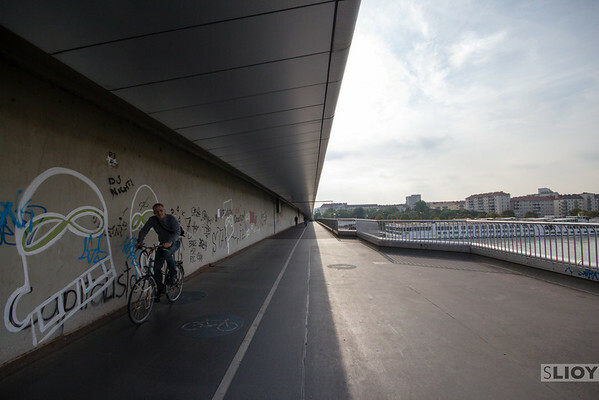 A longer bicycle trip might leave Vienna’s old center towards the Danube Island, a strip of land between the Danube River and the overflow channel known as the ‘New Danube’. For a few days each summer the Danube Island is one of Europe’s largest parties but for most of the year it remains a quiet escape from the city with beaches, sports facilities, and bike trails running down its 13-mile length. Far enough from the center to feel like an escape into nature, the Danube Island is close enough to make a daytime ride and still be back in time for an Opera performance or museum visit in the evening. Beyond the bike paths that traverse the city of Vienna, there are also a number of options nearby for more experienced or adventurous bikers. 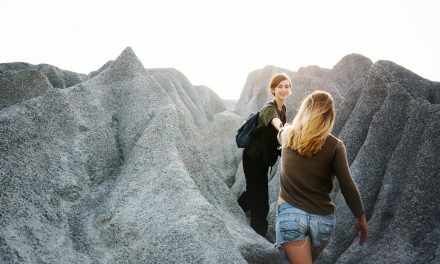 On the edge of Vienna, smaller areas like Kahlenberg and Grinzing are a short ride out from the city but present a very different atmosphere – even more laid back that central Vienna. These villages are dotted by vineyards and most famous for their Heuriger winehouses where groups of friends can enjoy local vintages and small meals at long wooden tables on the edge of the Wienerwald forest. Further inside the Vienna Wood, mountain bikers too have the opportunity to get off the paved roads that run through this greenbelt and onto the dirt trails that cut through the trees and over hills between settlements. Riding these paths feels less like being a tourist in Vienna, and more like for one brief moment of the day a resident of the city out for a day of leisure riding. 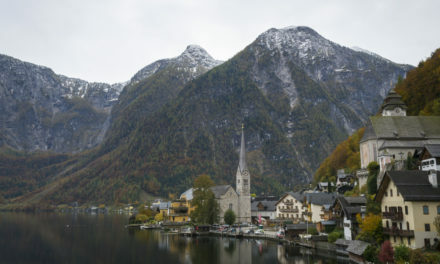 Looking even further afield, Vienna lies on the ‘Danube Cycle Path’ from Passau (Germany, around 180 miles away) to Bratislava (Slovakia, 35 miles from Vienna), which is itself part of the EuroVelo #6 route from the Atlantic Coast of France to the Black Sea Coast of Romania. Biking in Vienna at dusk. For full day rentals, tour agencies like ‘Pedal Power’ and ‘Vienna Explorer’ (as well as many guesthouses) offer bicycle rental. For shorter point-to-point rides consider using the Vienna CityBike program. Available from over one hundred points in the city, these bikes are free for the initial hour and increase from one Euro per hour after the first. For information on registering with CityBike, check their website or ask at your accommodations. Cycling can be a technical activity and specialized gear is often needed. Check out DHGate cycling gear to browse online. Remember to bike safely and if you’re a driver, please watch out for cyclists! 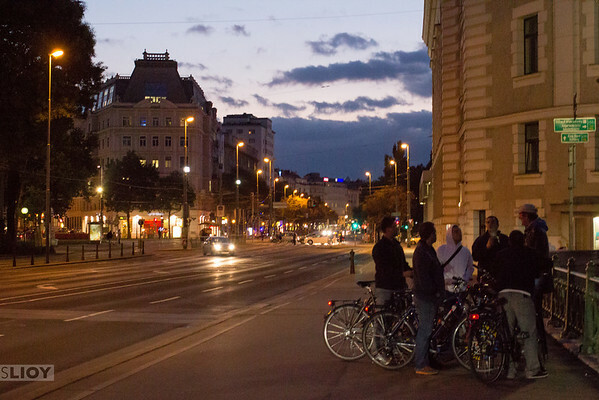 Enjoy Vienna or wherever your next cycling trip is planned. Not quite enough time on bicycle for you? See our Guide to Biking in Amsterdam as well! 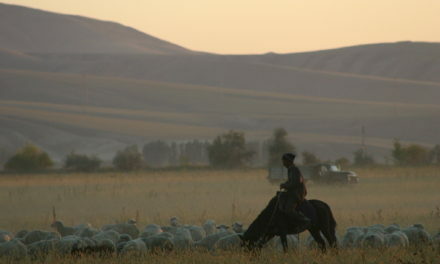 NextAsk GomadNomad: Best Places for Riding Horses in Asia? Very interesting! travelling by bicycle is always interesting and attractive to me. I like it very much.